Mark Giordano had two goals and an assist in his 800th career game and the Calgary Flames defeated the Arizona Coyotes 7-1 Sunday night. Giordano, the Flames' captain, has 47 points (nine goals, 38 assists) in 45 games this season, second among NHL defensemen and five points behind San Jose's Brent Burns. 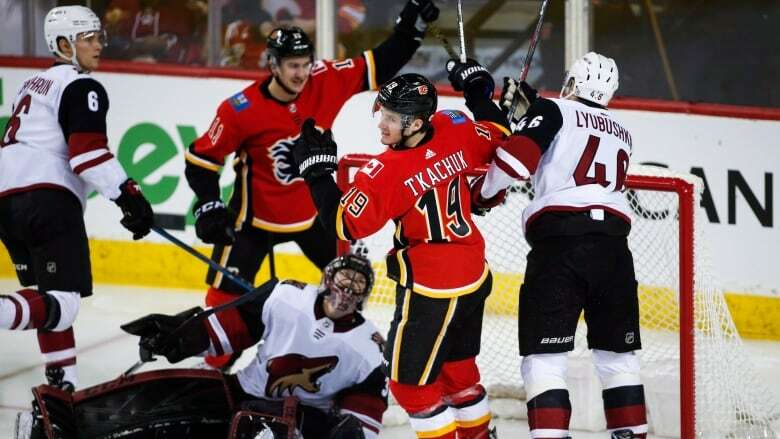 Mark Giordano had two goals and an assist in his 800th career game and the Calgary Flames defeated the Arizona Coyotes 7-1 Sunday night.